Velpen Disposal provides commercial waste services to all sizes and varieties of local businesses. WE DO NOT MAKE CUSTOMERS SIGN CONTRACTS. We rely on our superior service level for our customer base growth and repeat business. We are very responsive to calls for special circumstances involving out of schedule hauls/tips, additional containers or other special needs. Dumpster sizes include 2, 4, 6, 8 cubic yard containers. Dumpster service levels include a minimum pick up of once every two weeks. Weekly service levels preferred. 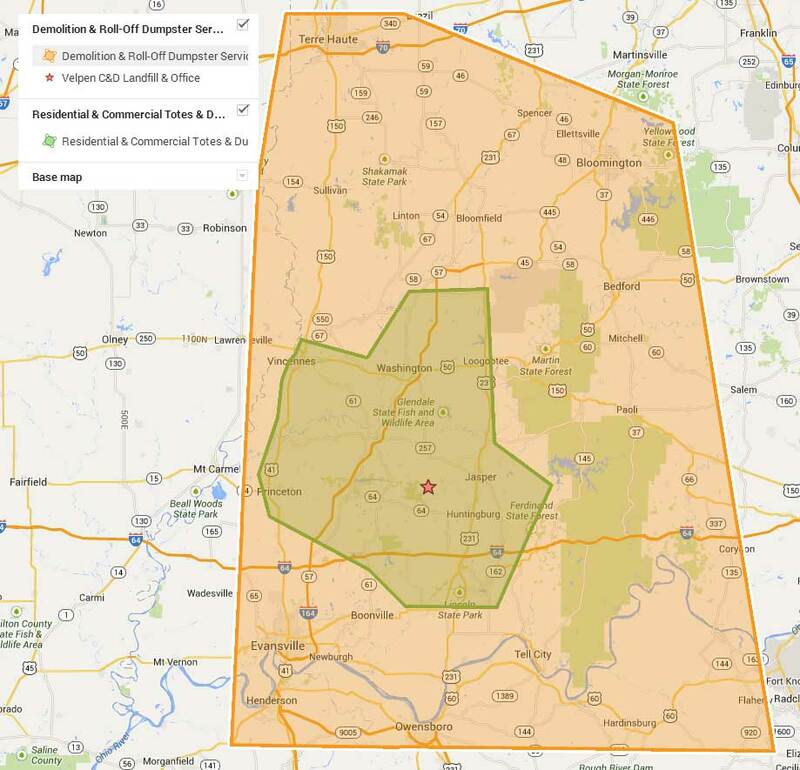 Please reference the green box on the map below for our current commercial service area. If your location is not currently listed please give us a call!